Mary Margaret McHenry, 85, of Zanesville died at 10:00 P.M. Friday, November 9, 2018 at the Genesis Hospital CCU. She was born on Monday, August 14, 1933 in Zanesville, Ohio the daughter of Glenford and Georgie Waite Daringer. Mary was a member of Pleasant Grove United Methodist Church. She was a 1951 graduate of Lash High School. In addition to being a homemaker, she was a beloved wife, mother and grandmother. She worked at Mosaic Tile Company, Champion Spark Plugs, and JCPenny's. Mary enjoyed working out at the Fieldhouse. She is survived by her husband of 64 years, whom she married November 29, 1953, K. Wayne McHenry; three children, Mike McHenry, Terry (Alan) Fuller, and Sandy (Bruce) MacLaine; seven grandchildren, Nicole O'Reilly and Natalie McHenry, Aimee (Jeff) Meals, Cara (Jason) McMannis, and Ella Fuller, Tanner MacLaine and Olivia (John) Brothers; nine great grandchildren; several nieces and nephews, and her beloved dog Sadie. In addition to her parents Mary was preceded in death by two sisters, Betty Daringer and Francis Jean Lay, and an infant brother Billy Daringer. Friends may call from 6:00 P.M. to 8:00 P.M. on Monday, November 12, 2018 at the Bryan and Hardwick Funeral Home, where funeral service will be held at 11:00 A.M. with one hour visitation prior on Tuesday, November 13, 2018 with Pastor Gordon Ferguson officiating. Burial will conclude at the Pleasant Grove Cemetery. 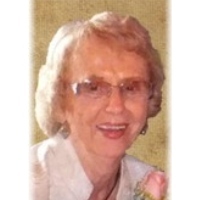 Memorial Contributions can be made in Mary’s name to Pleasant Grove Methodist Church. The Bryan & Hardwick Funeral Home, 2318 Maple Ave. Zanesville is in charge of the arrangements. To share memories and condolences with Mary’s family please visit www.BryanHardwickFH.com.